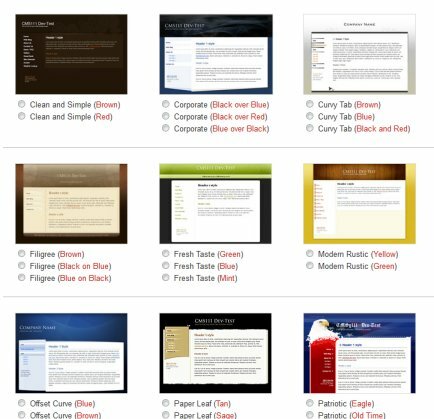 Premade Templates are the quickest and easiest way to get a site design in Build111. As soon as you log in to the Build111 system, you can get started with the click of a button. We offer dozens of styles and color schemes to get you started. This is just part of our list of pre-designed templates. Each page layout also includes several different color schemes. Browse the gallery, select the design you want to use, and save it! Your site now has a complete premade template design! You aren't locked in to your template choice. Select a new template any time you want. All your site pages and content will remain 100% the same, they will just get a new design. Need a little more than your template offers? Maybe a custom-styled header that matches your template? Maybe a unique color scheme? Our professional design team can enhance your premade template if you need design work but don't want a full custom layout.